Sorry I am a little late to the party! But today is my sweet friend, Sue Ann's birthday! I met her through the world of blogging and she has become someone I look forward to chatting with! She always leaves the most uplifting and comical comments! I always love to hear what she has to say! So today Jen, Amy and I are here with a Mini-blog hop just for her! 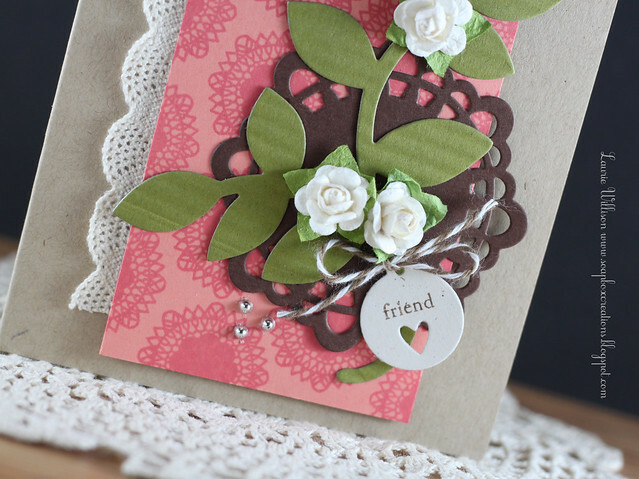 This card was made from a sketch that Paper Crafts used for there last sketch call! I thought it was perfect for a stack of little presents! 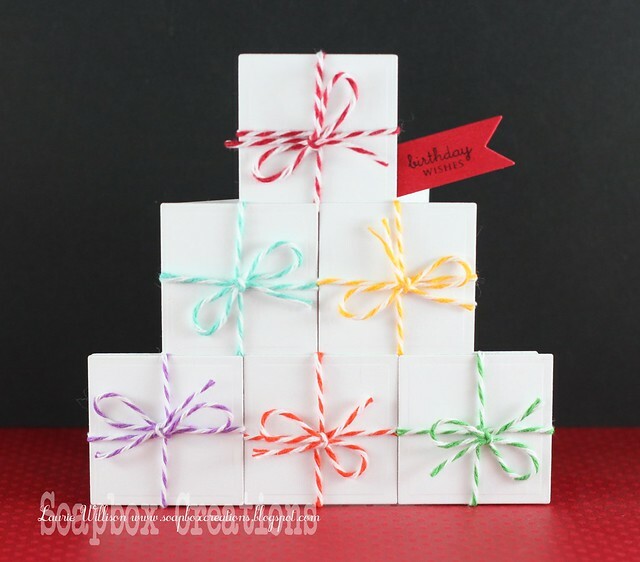 I used my square nestie to cut out these 6 shapes and then added these bright Twinery Twines to each little "package"! 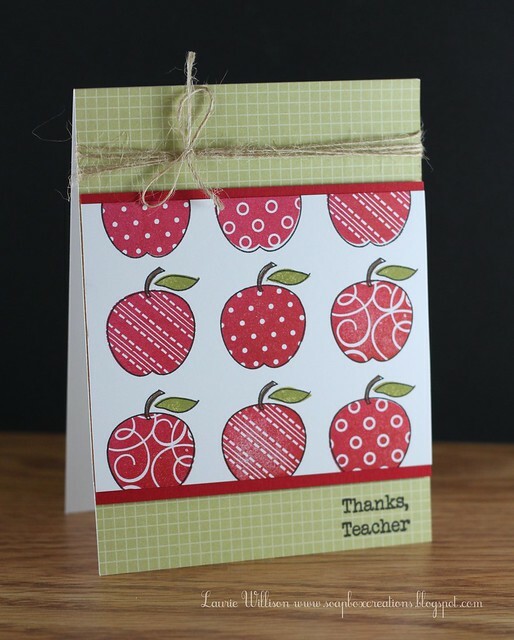 I adhered them onto a card I made in this shape using my Cricut! 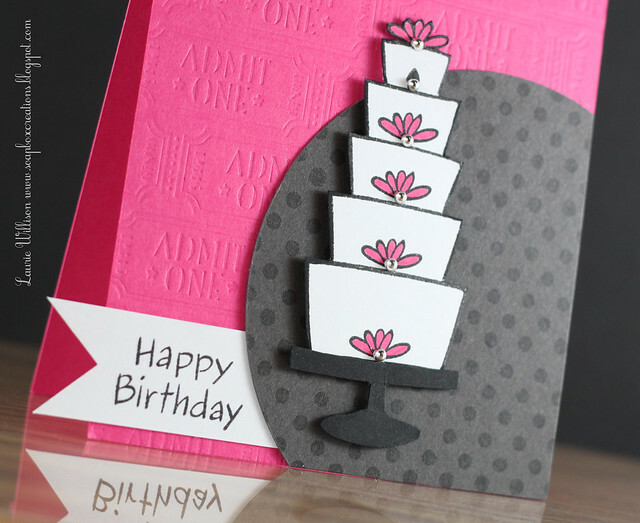 Then I stamped Birthday Wishes on a banner die cut and added it to the stack! Easy peasy! SA, I hope your day is fantastic! I hope you eat something you are not supposed to today! It's your birthday so splurge ok? :) Wish I could be in NC to have a 'rita' with you! Happy Happy Birthday!! 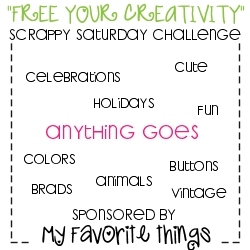 I am also going to turn this into the "Anything Goes" Wee Memories Challenge! 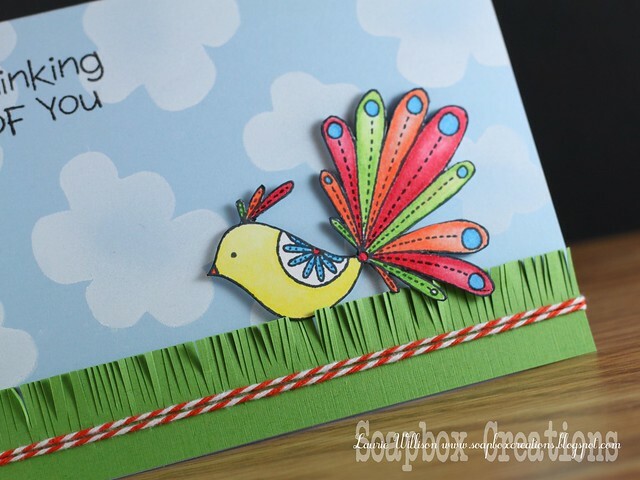 Welcome to day 4 of Creative Explosion with Britta and me! It has been so fun to use the same sets and themes and see how are cards turn out! She is one talented chick!! And don't forget to check out her videos! Lots of great info! 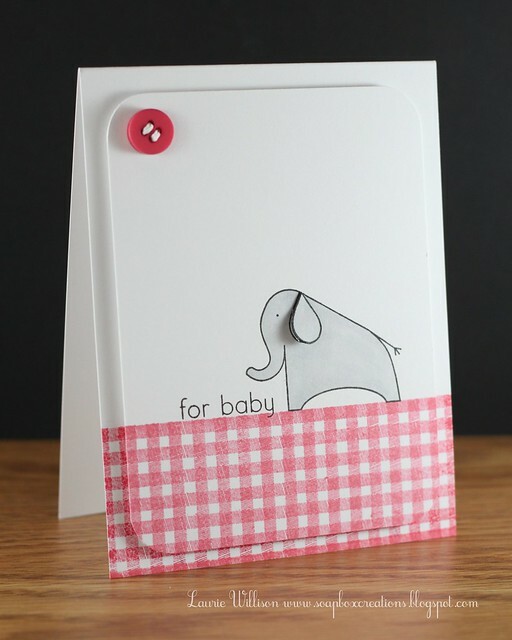 Today's theme is the new Paper Smooches Vegtastic! I love love this set! So fun to color!! 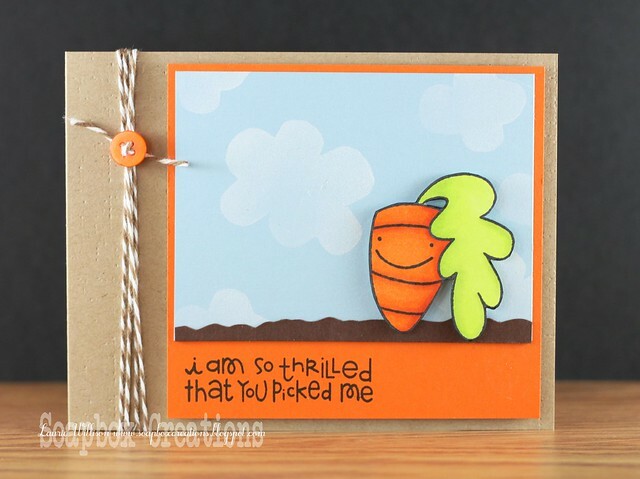 I hope you will hop on over to Britta's blog now! This is the first time for her to use this set so I can't wait to see what she cooks up! (No pun intended.) hehe! I have never entered a Hero Arts contest before. I don't know why! But I figured it is about time! I have been doing this super fun Creative Explosion week with my friend, Britta! So I am thinking she inspired me since she is a Hero Arts girl! She really does amazing things with HA! In my card stash...which is a big red box full of cards that I take to my customers....I realized I was low on Birthday cards! This is just what I needed to make some new b-day cards! So I am glad you stopped by again today! 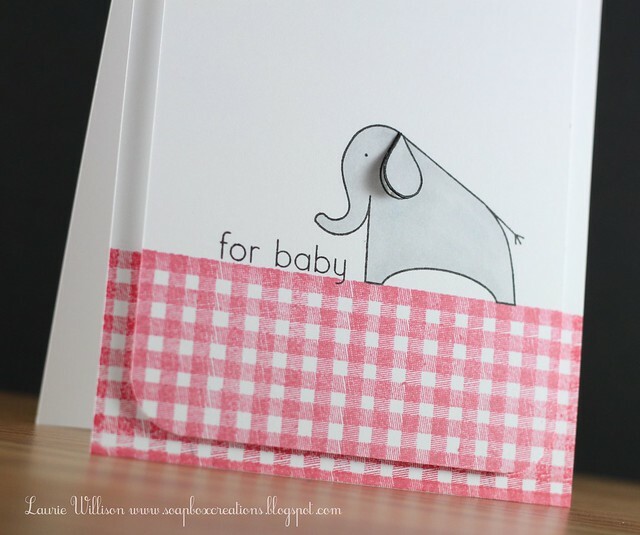 OH and for those of you who have asked...this is a Cuttlebug Embossing folder! It's the larger size so it covers the whole A2 front...love that! 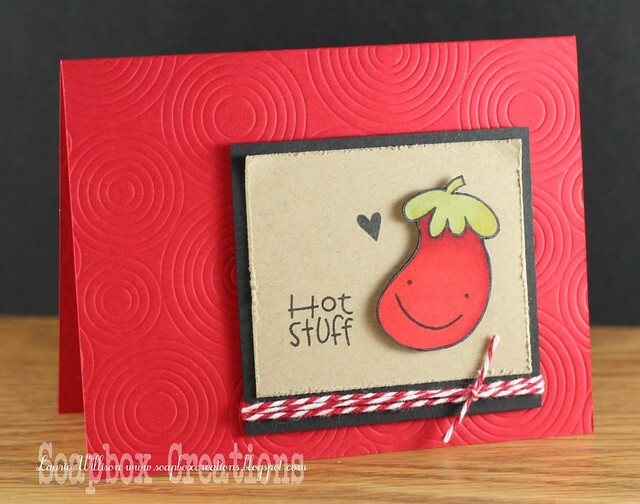 Britta and I are back today with another fun stamp set! 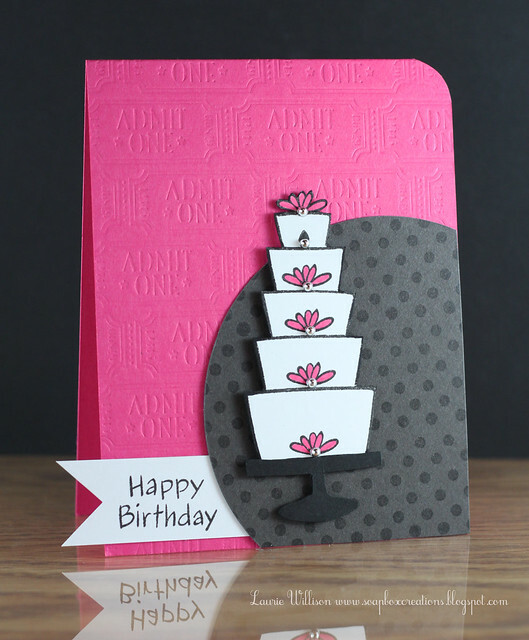 Today we are using Lawn Fawn's Bake Me a Cake! I love the versatility of this set! You can make any size cake and there are lots of little details you can add! I thought it would be fun to mix with PTI's Ticket IP! And of course some polka dots! 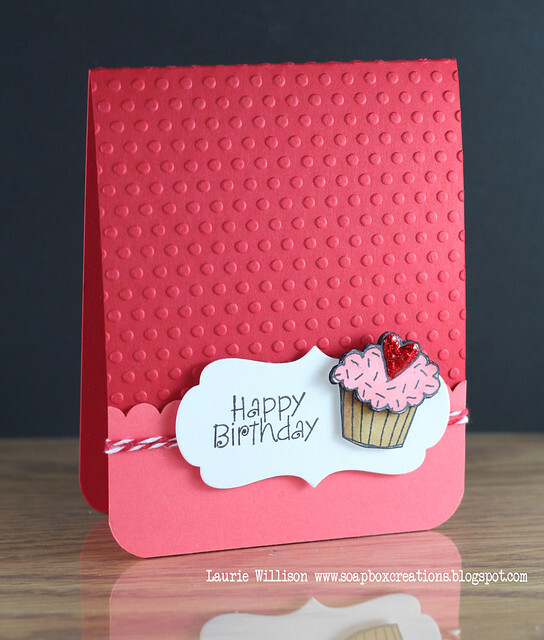 I have one more CAS card for you today! I just stamped some of the candles from this set on some random colors and lined them up for a fun little border! Then I added some Scor-Pal and Scor-Bug detail! You can't see in the pic but I also added some Copic Spica pen to the candle flames! So much more fun IRL! This is it for today! 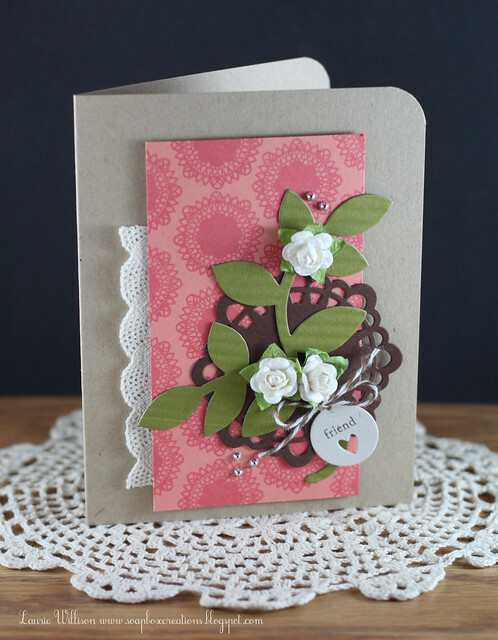 Don't forget to stop by Britta's blog to check out what she has with this Lawn Fawn set! If you have missed out on the first 2 posts for our Creative Explosion, click HERE for day 1 and HERE for day 2! Welcome back to Day 2 of our Creative Explosion! If you are just joining us, you can see Day 1 HERE! The sweet Britta Swiderski (don't you LOVE her name?) asked me to join her this week and so we have several more days of craftiness coming your way! Don't forget to stop over at her blog! She has an awesome video on yesterday's post! The leaves have a little texture because that was a scrap piece of Ripe Avocado that I had run through my corrugator! It was the perfect size to use with the new Turning a New Leaf Die! 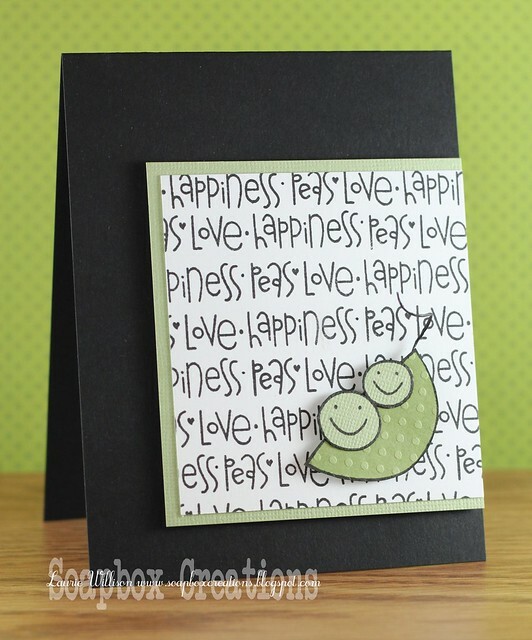 The background images are stamped on Melon Berry with Bella Rose Palette ink. I love this doily set because of all the different sizes that are possible! I added a little tag from the new Tiny tag set! These really are tiny tags! I love that set! So this is it for today! 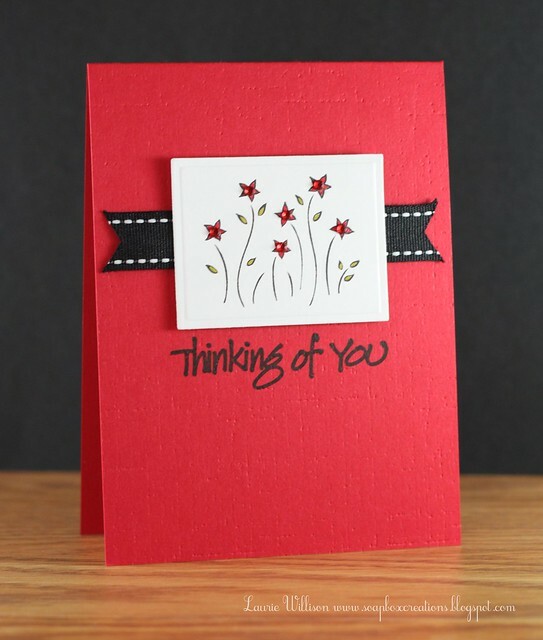 I hope you will stop back by tomorrow to see some creations using a fun set by yet another company! Stop by Britta's today too! I know she is going to have something amazing for us with this Doily set! I want to say a quick thank you to all of you who take time to stop by and leave the sweetest comments! I just reached 300 Blog Friends and you have no idea how much that means to me! Thank you so much for hanging out with me!! Have a great day! Hello there! I'm Britta Swiderski - a cardmaker and scrapper who just happens to be Graphic Design major at the University of Minnesota. I spend my free time inking and making projects, cooking and trying to relax away from class and busy campus life. I've tried pretty much every hobby out there but always seem to gravitate towards paper and all of the amazing things that are possible with it. I'm so excited to be doing this fun week with Laurie and look forward to more teaming up in the future. You can visit my blog over at http://brittaswiderski.com/. Big thanks to Laurie for joining me this week! This was probably one of my first Hero sets and in setting up this week with Brit, it makes me realize, I just don't have enough HA! They have some fun stuff for sure! I colored the little bird with my Prismas and OMS! The clouds are fun foam I hand cut and then stamped in PTI's Fresh Snow! And lastly, the grass is green cardstock from DeNami that I hand cut with my Kai's! I added some Twinery Twine for a little more color! I am so glad you stopped by today! 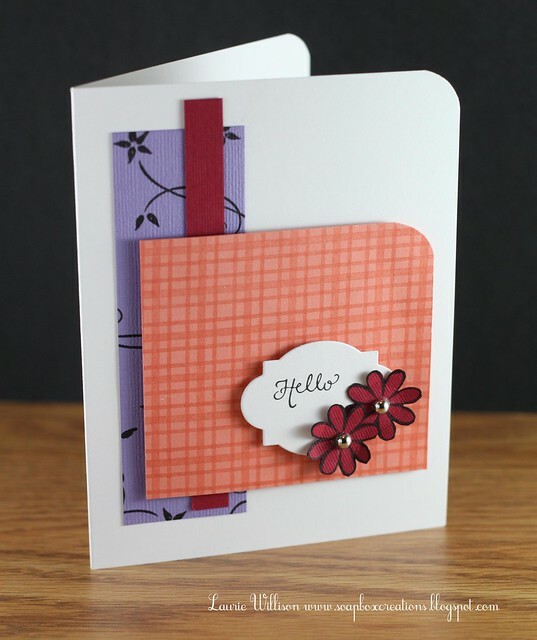 If you haven't already, check out Brit's blog to see what she has created with A Happy Hello! Don't forget to leave her some love! I think she even has a video to watch! Remember to come back tomorrow for another creative explosion with Brit! And if you have time, don't forgot to play along with the challenge I have open HERE! Once upon a time I used to spend a lot of time in the card aisle! I loved looking for funny ones, romantic ones, cute ones and just reading the insides! These days....I don't go there. I can't spend $4-$5 dollars on a card when I know I can come home and make one. So I was walking by the card isle and something caught my eye...I had to stop...and take a pic! hehe! I popped up his little ear like I do every time I stamp him! For some reason I just can't leave him flat! :) This is definitley a CAS sort of card! I had a hard time with the 'flat' look of the top layer but it's growing on me! 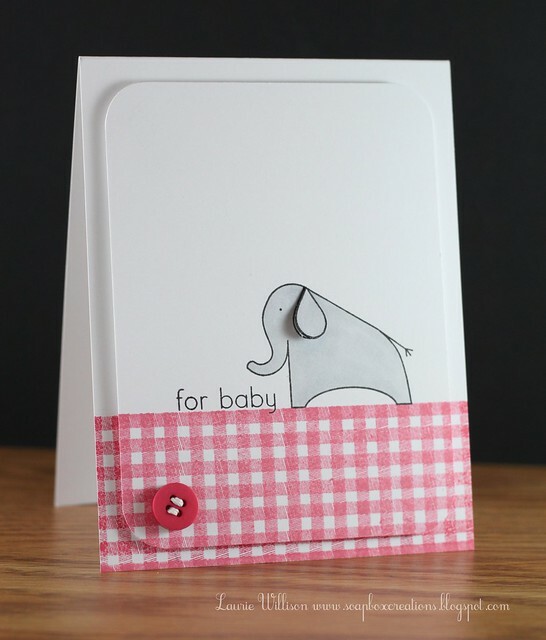 That elephant is just the perfect little baby card addition! This is it for today! Glad you stopped! We are on Spring Break this week so we have lots of fun stuff going on! We went to the Zoo yesterday! We are having a picnic today with a Movie Night tonight! Going to another Zoo tomorrow and bowling on Saturday! We usually travel on Spring Break but with gas being STUPID high we are staying closer to home! I am making sure we have lots of fun things to do while my dd is at home! EDIT: So I got up and looked at this card and for some reason was not thrilled about the button up there at the top. So I moved it! I am thinking I like version 2 better! :) Thanks for looking! 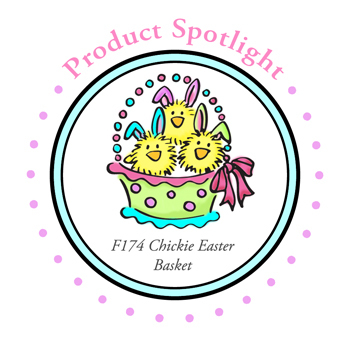 Welcome to this weeks DeNami Product Spotlight! Today we are featuring the Chickie Easter Basket Stamp! 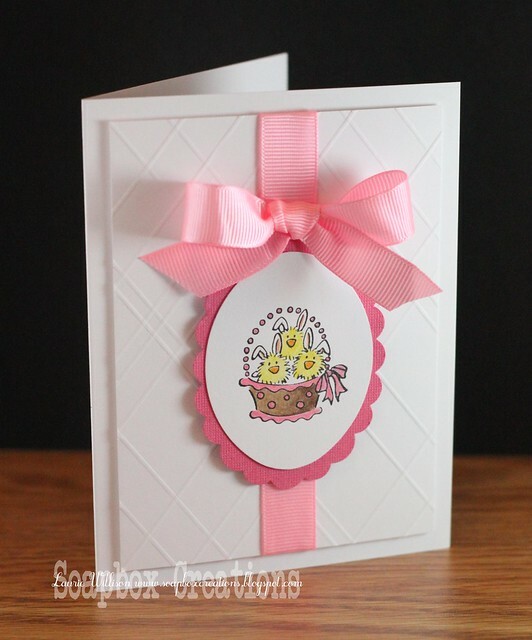 It is so cute and just in time for Easter! 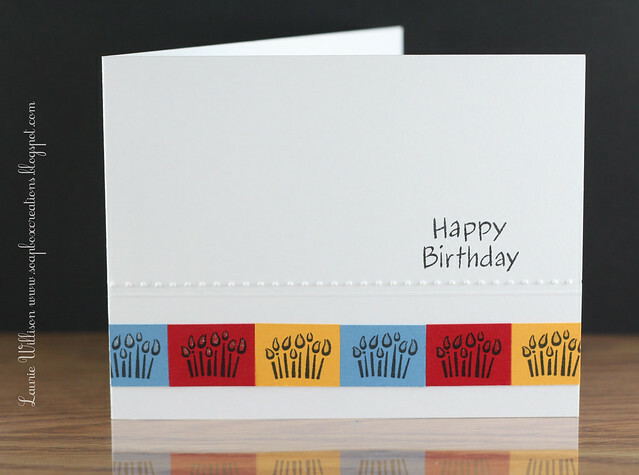 I made the background by lining my card up on my Scor-Pal and scoring random lines! The basket is coloring with Prismas and OMS! 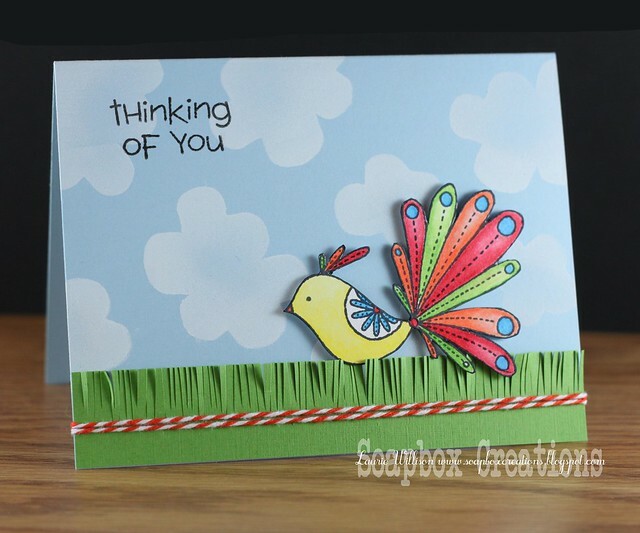 I actually made this card with no sentiment...which is hard for me to do...but I thought the cute little chickies speak for themselves! 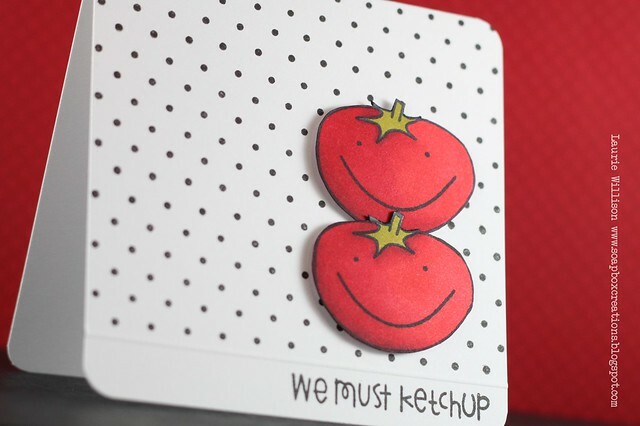 :) This adorable stamp is on sale now too! Stop over HERE to pick one up for yourself! Be sure to stop by the DeNami blog for the DT links to more adorable Chickie creations! Thanks for coming by here today! 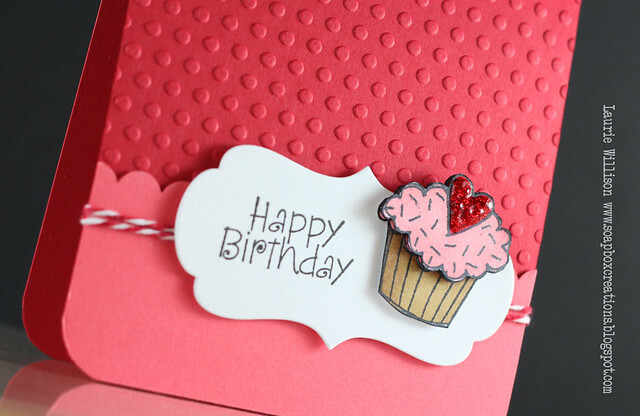 Just stopping in with a quick card today! I pulled out my "It's Official" set from PTI and realized I hadn't inked up the Bingo stamp! So I pulled it out and did a little stamping....on coasters! They felt like real Bingo boards after I cut them out! Kinda fun! 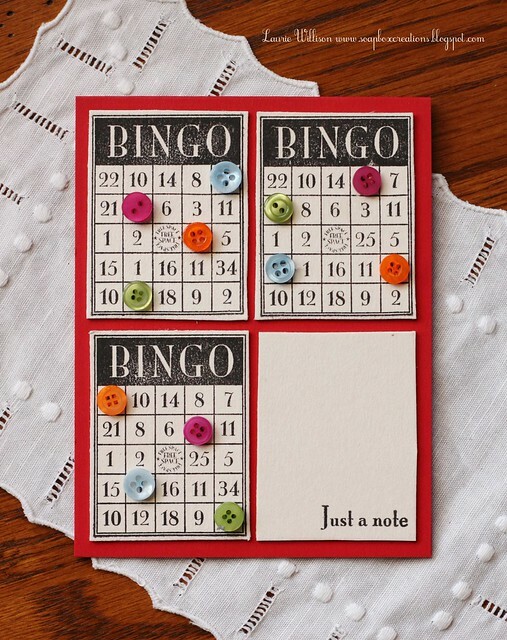 To make the 4th blank card, I stamped the bingo, cut it out and then flipped it over! Easy peasy right? hehe! This set is definitely *another* favorite of mine! (Yes I know that list is a long one!) Thanks for stopping by today! I would love to hear what you think about this card! I definitely haven't made one like this before! Welcome to another DeNami Product challenge! Today we are working with something that is so close to my heart...Rhinestones! I love these little bits of bling! So fun! I think it gives each of the blooms just a little something fun! 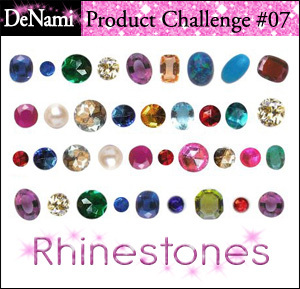 Stop by the DeNami blog to play along and, of course, too see the other DT girls and their FAB Rhinestone creations! Here is my "green" card for the week! 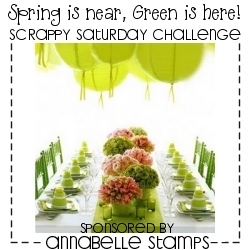 Today is the last day to link up for this challenge! Click HERE to play too! I used DeNami's Three Lined Border to make the plaid background! 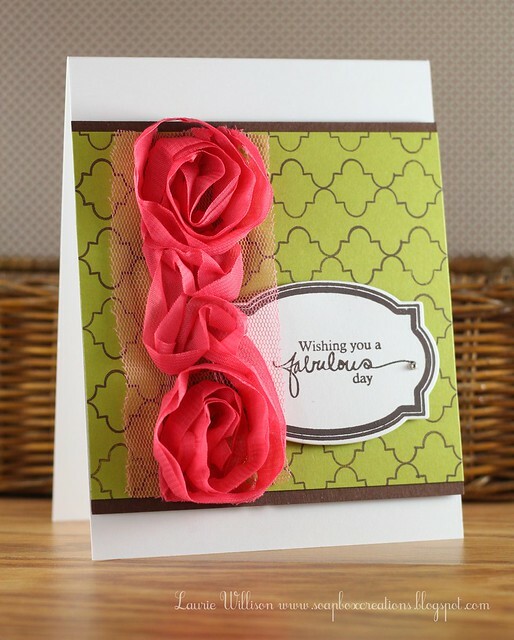 You can see some of the Flower Vine Swirl peaking out on the lavendar cardstock! And then of course, my favorite little blooms, the Small Daisy Blossom! Here are this weeks colors...Scroll down to the bottom of THIS post and see my happy news!! I got the Cup of the Week for last weeks PDCC colors!! Thank you PD for picking my card!! Hope you can play along! Looks like there is a fun little DeNami prize for this week! :) Have a great day! 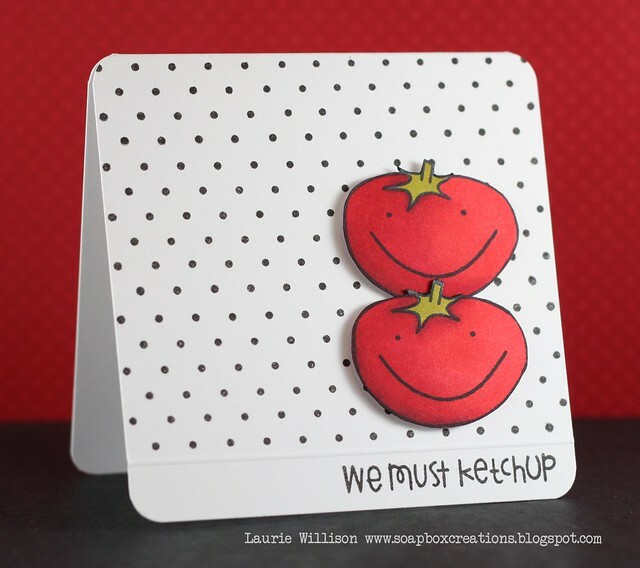 Yep, I went a little crazy coloring and making cards here! This set is totally fun and not my usual style but I think that is why I like it so much! The images are so easy to color and they still make for a CAS-sorta fast card! I made those with fun foam! I just free handed a cloud shape and and stamped them with some Fresh Snow! So fun! OK, I am off to get my hair done! Have a great day!